Nostalgic Corner - My Heathkit HW-101 sitting on 80 meter, listening to a ragchew on 3699 kHz. Left the original PS-23 PSU. The mic here is a swedish Hi-Z Mymex. I also have the original Electro-Voice. The HT between the HW and mic is my first, an Icom IC-2E, monitoring the local repeater. Both radios are in good working order. the Finnish YL:s Black Cat contest! HF antennas: Fritzel FB-53 (5-5-3) ele beam for 10-15-20 up 24 m in a steel tower by Arto OH6LO, and inverted-V dipoles in the tower guy wires for 80-40. A four element monobander for 17 m is awaiting mounting in the tower. On VHF I have a 15 ele X-yagi from CueDee and various other experiments. On UHF the main antennas are a commercial yagi and a 23 ele CueDee + other experimentals. The rotor is an old Kenpro KR1000 SDX. Drake R-4B & T-4XB line, complete with MS-4 speaker, AC-4 PSU and original Drake desk microphone. 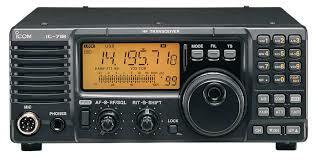 Trio TS-515, HF-transceiver 80 - 10 meters, no WARC bands, transistorized, except finals (2 x 6146A), new finals. Heathkit HW-12, SSB, only 80 m, tubes. Heathkit HW-101 CW/SSB transceiver, 80 - 10 m, tubes, 2 x 6146A:s for finals, CW-filter, original EV mic. Original PS-23. In good working order. Heathkit HW-100 CW/SSB transceiver, 80 - 10 m, tubes, 2 x 6146A:s for finals, original Electro-Voice mic. Heathkit SB-101 CW/SSB transceiver, SB-600 speaker/PS. Heathkit SB-201 amp with 10 m kit, output abt 5-600 watts, 2 x 572B finals. Heathkit HR-1680/HX-1681 CW-line including HS-1681 speaker, PS-23. Heathkit HR-10B receiver, DX-60 transmitter and an external HG-10 VFO. 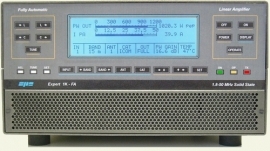 Icom IC-22 VHF 2 m FM xtal XCVR, fully QRV. 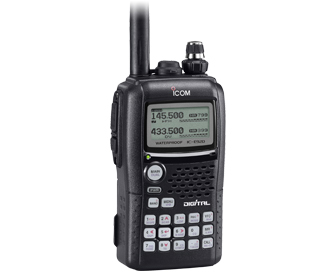 Icom IC-2E handheld 2 m transceiver with thumbwheel QRG selectors. Varoius commercial old land mobiles converted to VHF/UHF (mostly Salora/Mobira/Benefon/Ericsson. Thanks for visiting, 73 de Tom. Main HF-station: Yaesu FTdx5000, 200W All-mode, ATU, DMU-2000, SP-2000. 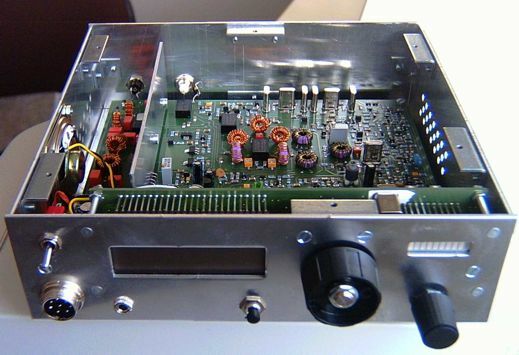 PA: SPE Expert 1K-FA, 1 kW output, full solid state w. internal ATU and antenna switching for four antennas. Summer cottage HF-rig: Icom IC-718, 100 W SSB/CW/AM. LDG 200 Pro autotuner, Signalink for digimodes. Ongoing project: QROlle-kit, SSB-xcvr for 80/20 m. Data here. Handhelds: Yaesu VX-6R for VHF/UHF (left) and an Icom IC-E92D for D-Star (middle). For APRS: 2 x Icom IC-H16T (right, modified commercials). 3 x Yaesu FT-7800 FM stations at home, summer cottage and car. 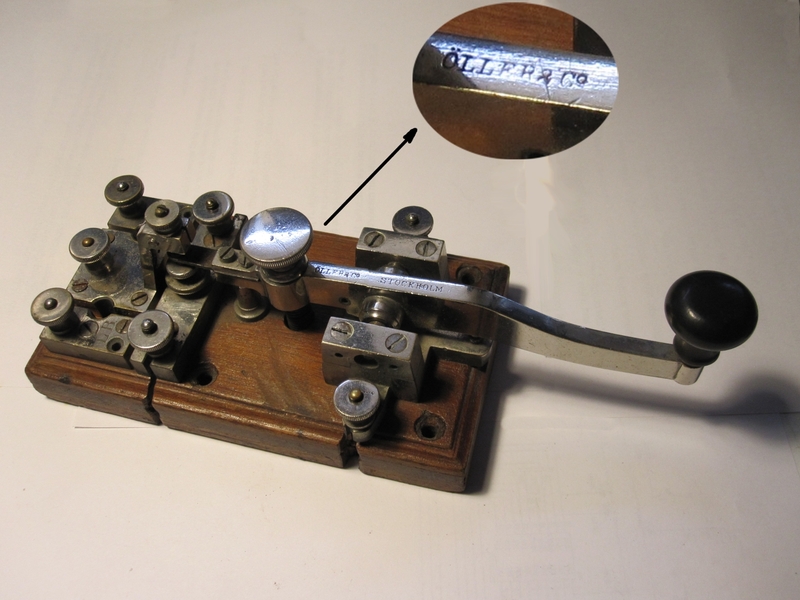 50/40 W.
I have been collecting Morse keys during the recent years. Mostly I have bought them, but also received som as gifts from fellow HAMs.